Age Limit: 20-24 years as on 01.01.2019. 20-26 years Age between 02.01.1993 to 01.01.1999. Pay the Examination Fee through Debit Card, Credit Card, Net Banking, and E Challan. How to apply: Eligible applicant require to send their applications in the prescribed format along with affixing can apply through the prescribed format before 17.03.2018. 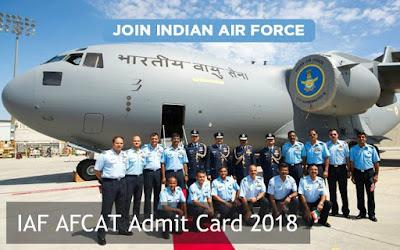 Write on the envelope “application for the post of Airforce Common Admission Online Test (AFCAT 01/2018)”.